I’m an app junkie. Always looking for apps to do that, that or the other. Always tried to budget & track Christmas shopping before iPhones & apps and inevitably I’d fail. This is THE best app to help you organize your shopping & spending. So simple to use too. You start by adding recipients, add a gift for that person and then categorize the gift as an Idea, Purchased, Wrapped, Given. Even track if item is ordered. You can half use the app to just track purchases, but where I’ve found this helpful is using the gift categories. We’ve all done it..... forgetting to give someone a gift. This app has reminded me of something I forgot I bought. If you hide gifts, there’s even a spot to put the Location of the gift. You can also add details about the gift. Where purchased, price, even a photo of it. Amazing app!! As I’m writing this, there’s a feature I’d love (and to be honest, it may already do it), but I haven’t tried. I would love to see ability to sync the app with my wife. (We have a grocery list app that does that). This app is be far one of my favorite apps that makes my life easier! Wow! Where have you been all my life? I recently found this app...just days before Christmas. I'm so glad I did but wish I had found it sooner. 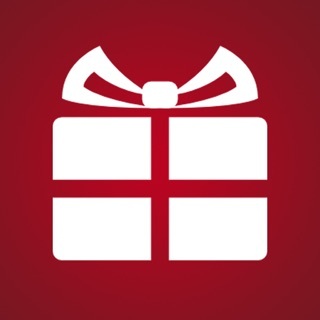 This app is perfect if you want/need to keep track of gifts for different people, stay organized, keep track of your budget, and share with family or friends. There are so many different possibilities of viewing once you have entered the information. The choice is yours. It didn't take long for me to update to access what I've already bought, realize I bought two of one gift, and see where I stand with a budget. Next year when I use this, I will be able to plan better. I'm still learning what all it can do. It may do this already, but a cool feature would be for my kids to create/update their list on their phone, share with me, and then not be able to see when I make updates to what they want. No matter what and even as is, I just love this app! Please keep it active after the holidays, because I plan to use it for birthdays, too! Second year of using this app and it has become a lifestyle! I use it to organize all my gift giving, not just Christmas. It helps me make quick note of gift ideas I get on the fly and then come back to them when I need to buy a gift, so I don't get stuck not being able to come up with gift ideas when I need them. It also gives me a more realistic look at my budget to plan ahead with spending and avoid going too overboard or neglecting someone. It also helps me remember what I bought and on multiple occasions has reminded me of a gift I would have forgotten to give. This year I got all my friends and family using it and it was worth it to pay for the advanced version in order to archive my gifts. The one thing I would change or add would be including a way to create and share my own wishlist the way I make lists for others. It makes reference to "wishes" in the app and I cannot figure out what those are or how to access them, so maybe my wishlist is a feature that exists that I just don't know how to use. I am really not the type of person who gets this attached to an app but I'm not being hyperbolic to claim that this app has changed my life by helping me be a more thoughtful and attentive gift giver--it makes giving gifts fun and last night I had trouble falling asleep on xmas eve in anticipation of the gifts I was giving, NOT the ones I was receiving! © 2009-2018 Clay Pot Software LLC. All rights reserved.